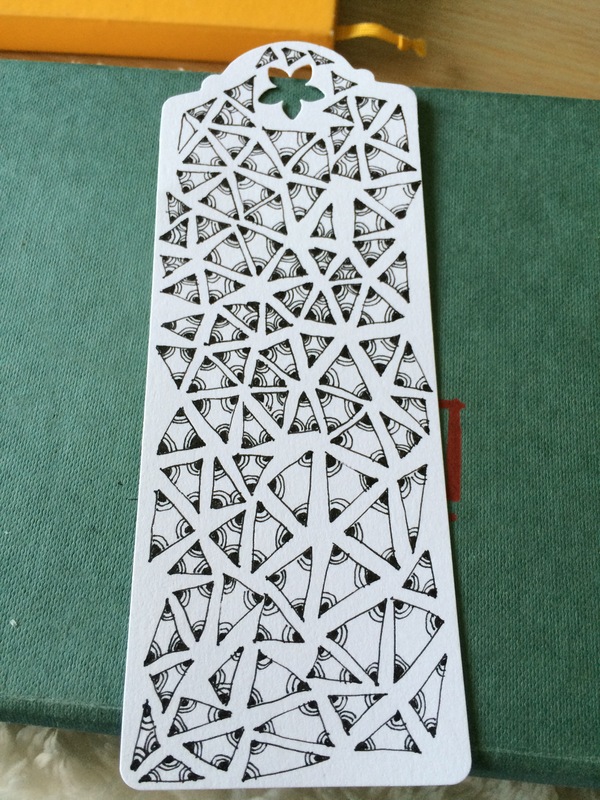 Posted on July 19, 2015 by Kat, aka "ArtyKat"
I really do enjoy drawing the bookmarks and actually, I have drawn one today as you can see below. I’ve decided to take my bookmarks to the local printer and to laminate prints not originals. What do you think? This is a lovely design. Definitely, do copies and laminate them. Great to be able to keep the original and keep getting prints from it. 🙂 Works well for me. I often crop my art app paintings into bookmarks on my iPad and then print an A4 page full of them, laminate the sheet…then they are cut out from the sheet..All the best, Janette. What a fab idea, it looks wonderful! This is lovely. It reminds me of a stained glass window.